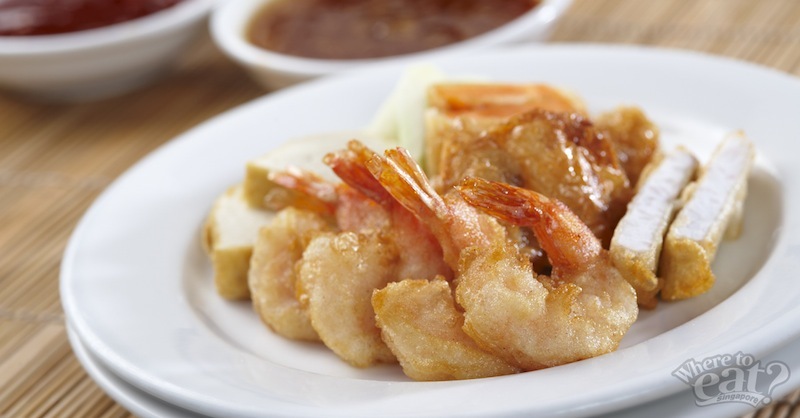 There’s a reason why York Hotel’s Penang Hawkers’ Fare has been standing strong for 30 years. The answer is simple: the food. We’re talking about Char Kway Teow packed with unforgiving wok hei (breath of the wok), Oyster Omelette that well deserved its slavishly long queue, and of course the mild funky spiciness of Assam Laksa. Just to name a few. The floor of White Rose Cafe is dominated by several open kitchens with lines snaking towards the entrance. But no worries, those lines move as quickly as a brisk scald of slippery Kway Teow or the flipping of dangerously crispy Ban Chang Kueh. Celebrating its 30th year, the food fare continues to bring in some of Penang’s greatness including another quintessential Penang dish – Pasembur, a Chinese-Indian style salad that is unique to the region. We’d compiled a promising list of supposedly phenomenal dishes to try, follow it so you wouldn’t miss out on the brilliant stuff. The spicy-sourish noodle soup is a Penang hawkers’ fare staple and it’s almost barbarian to leave this out. 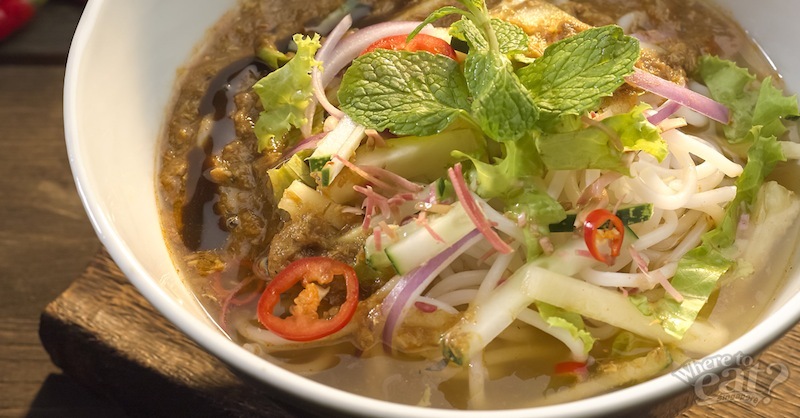 Slippery vermicelli and noodles absorb big bursts of hot, acidic, sweet, and savory elements in the soup almost instantly. When coupled with crunchy bean sprouts, a refreshing vibe is added to it, balancing out all flavours. This much-loved version has lesser chewy starch globs, which only makes it more remarkable that the cook was able to perfectly crisp the sides of each portion without losing that crucial texture. 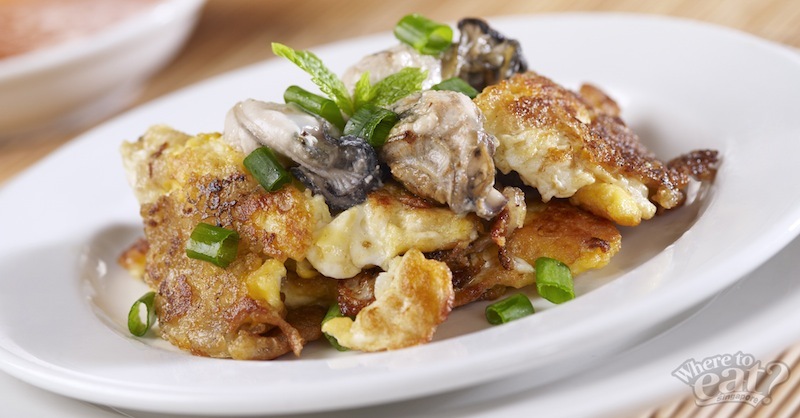 The omelette is loose and seasoned with just enough salt and pepper, just to capture the taste of fresh oysters. Portions are small, so we suggest getting two plates of those because queuing twice is inevitable. Don’t be daunted by one of the longest line of the food fare, you’ll understand why once you give this a try. 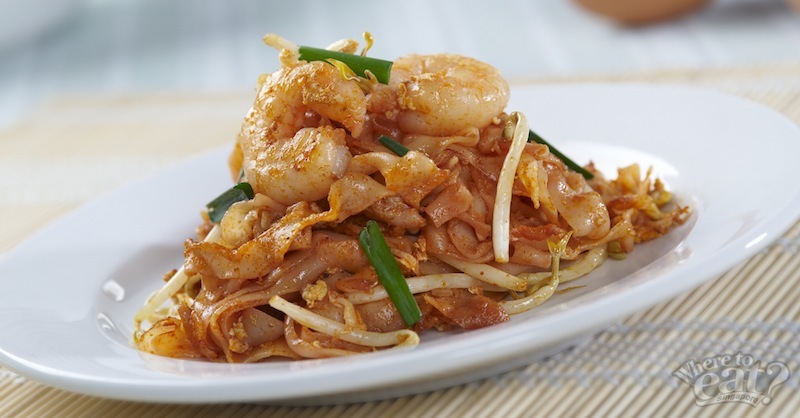 This is about as traditional as it gets, with thin strips of kway teow tossed over high heat in a lighter-than-usual sauce with a sweetness that isn’t too overwhelming, then flavoured with tons of skills and just enough wok hei. 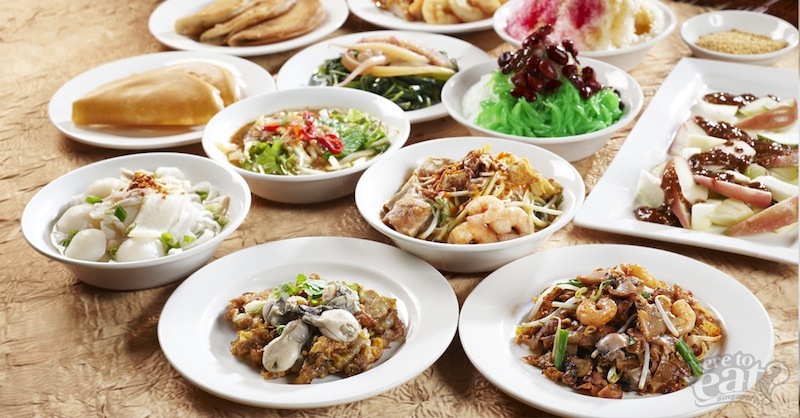 Cuttlefish Kang Kong is one of Singapore’s all-time favourite. But this clean-tasting version differs from ours as it’s served sort of like an appetiser, instead of stir-frying them together with sambal chilli. 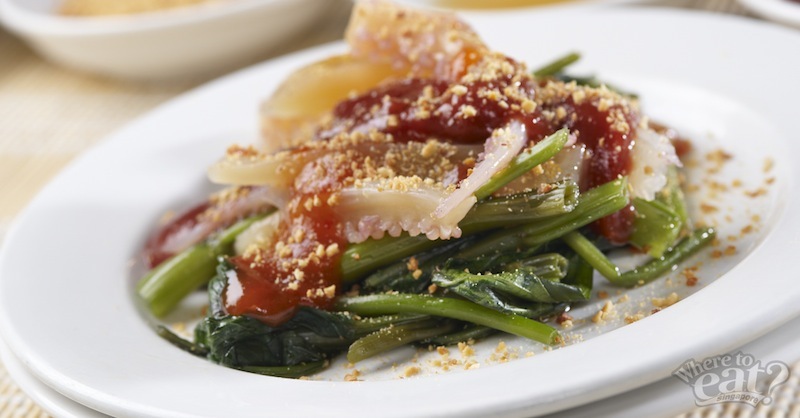 Pieces of crunchy and slippery cuttlefish sit on top of nicely cooked green Kang Kong, along with a light drizzle of sweet and spicy sauce and hae-ko. Queue for this to keep it on hand as a palate cleanser between bites of hotter, heavier stuff. Gone is the dark broth. 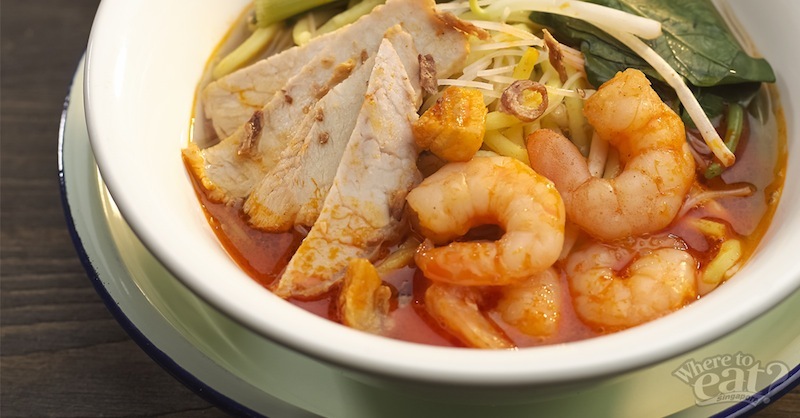 Penang’s version of Prawn Mee sees vermicelli and noodles come served in a bowl filled with a bright orange broth made up of prawns, prawn shells and pork ribs. Then, complementing the sweet-spicy taste and its texture would be a dash of deep-fried shallots and spots of its glistening oil floating on the broth. 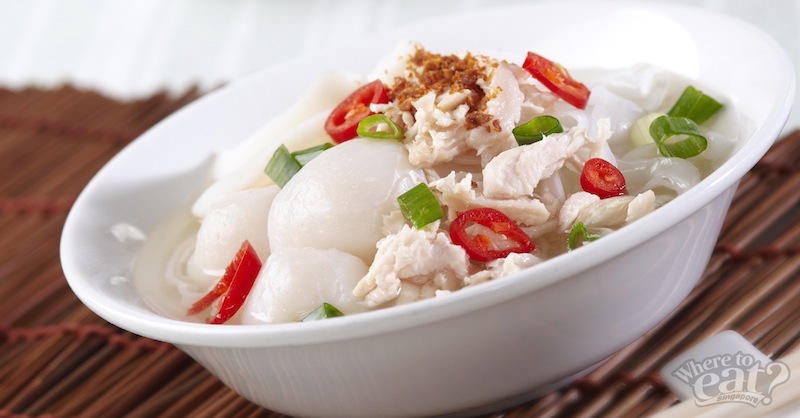 The noodle dish is the simplest of dishes: scalded soft, smooth rice noodles, a plush fishball, doused in a light, bright sauce with pungent pork lard aroma for the dry version or swimming in clear, rounded flavoured broth for its soup version. The key to Penang Rojak is the rojak sauce mixture, which uses is good quality hae-ko (prawn paste) and each hawker has his proprietary recipe. 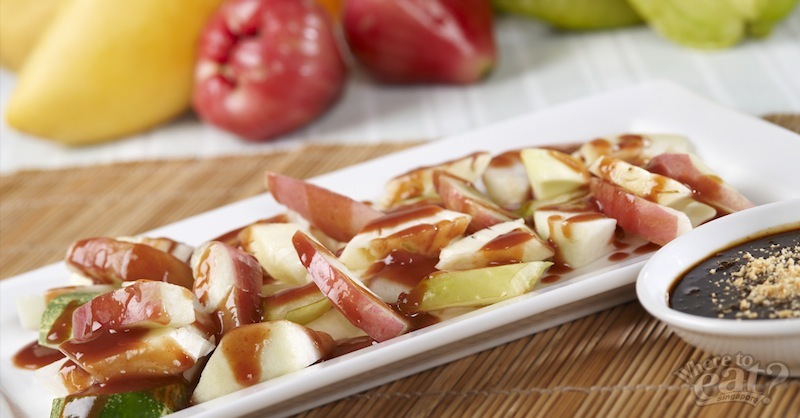 This salad usually includes diced cucumbers, refreshing jambu and pineapples. Producing a fantastic Ban Chang Kueh is a craft worth celebrating; here is one that we’re applauding today. 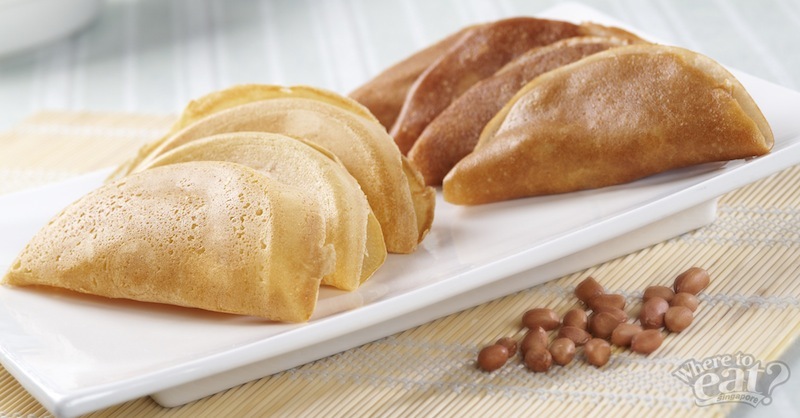 Unlike what we always would have, the one here will hit you down to the core: well-crisped pancake, sweet crystallized sugar lumps and finely grinded peanuts in between. We think it’s well worth the time we spent in line. .
One sweet snack deserves another. To give yourself a happy ending, grab a Chendol. Not the most complex dessert in the world, but the kidney beans that are cooked in gula melaka and green jelly with a hint of saltiness when combined with coconut milk, makes this dessert hearty, comforting and easy to love. York Hotel’s Penang Hawkers’ Fare ends on 27th March 2016, and will return during September and December.